Why Choose Budgyt over Excel? Budgyt eliminates the uncertainty when budgeting for multiple departments in Excel. We help CFOs regain control over their numbers and eliminate the time wasted on fixing, formatting, and auditing Excel budgets. 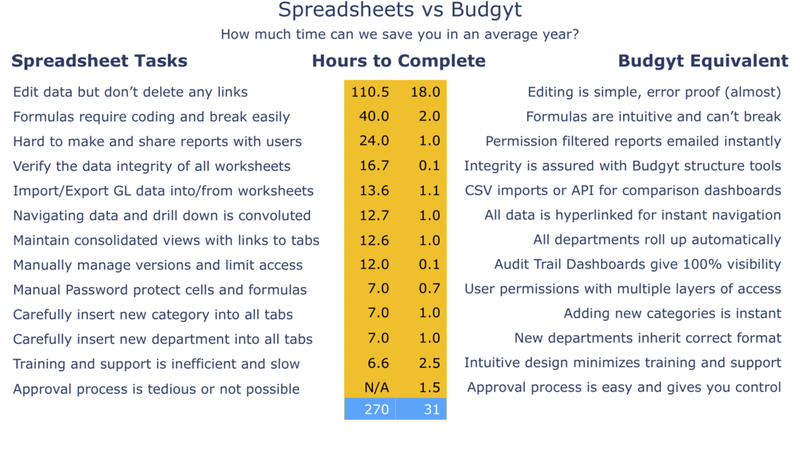 Budgyt can save you over 230 hours of work versus Excel for a business budgeting for 10 departments. Contact us to find out how much you could save.